Top five news stories you need to know. 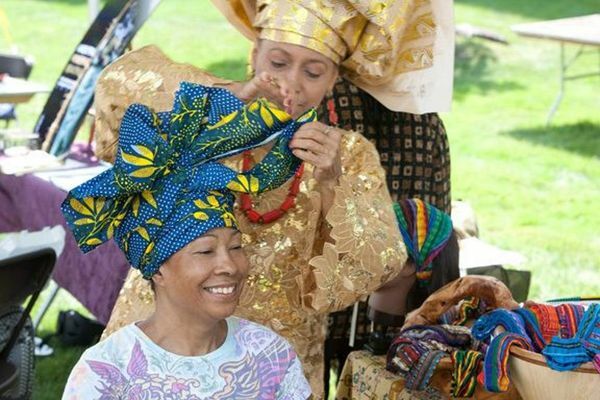 On June 8 in Dearborn, Michigan, the 2014 Headwrap Expo celebrated interfaith dialog, fashion, and culture. Billed as “the art of headwrapping and scarf styling,” the Headwrap Expo was presented by the organization Beautifully Wrapped. The organization’s founder, Zarinah El-Amin Naeem, explained how the Expo is a celebration of “fusion — looking at how different cultural aspects, different things that people wear in different parts of the world are adopted across into other cultures.” Naeem explained how the Expo has broad cultural appeal and moves beyond fashion to address issues of unity. Ellen Gastwirth, 41, was hired in 2005 as Director of Education at Temple Judea, a reformed Jewish synagogue on Long Island. Gastwirth first encountered resistance to her Orthodox observance of the Sabbath when Rabbi Todd Chizner was hired the following year. Her requests for holiday time off were met with animosity. For example, in 2008, Rabbi Chizner questioned her observance by asking “What do you people do on that day that would prevent you from being here?” Harassment from the board of directors and the Rabbi led to the termination of her employment and a new Brooklyn Federal Court lawsuit. Two recent court cases address discrimination issues as they relate to objections to vaccination due to religious beliefs. In Philips v. City of New York, parents argued that their children are unfairly discriminated against. While their children’s school district allows vaccination refusals based on religious beliefs, documentation is required that supports and explains the religious objection. Students that receive accommodation must stay home when another student at the school acquires an illness that is vaccine-protected. A federal judge rejected the parent’s claims, ruling that the First Amendment’s Free Exercise clause does not provide exemption from vaccination requirements. In Valent v. Board of Review, Department of Labor, New Jersey Appeals Court ruled that a hospital employee who was fired for refusing vaccination is entitled to unemployment benefits. The hospital offers vaccine exemptions to employees for religious beliefs, however, they denied an exemption to the plaintiff because the employee did not object to vaccination due to religious reasons. The court ruled that this discrimination lacked justification and violates the First Amendment. In Myanmar, laws have been drafted that intend to protect Buddhists, the country’s majority, by regulating marriages and conversations between people of different faiths. The Interdisciplinary Journal of Research on Religion recently published a study that reviewed GDP growth in 2011 across 173 countries. GDP growth was compared to additional data including religious restrictions and the levels of economic and business related freedoms for each country. Authored by researchers at Brigham Young University’s International Center for Law and Religion Studies and Georgetown University’s Berkley Center for Religion, Peace & World Affairs, the study concludes that countries that allow greater freedom of religion are more likely to have economic growth and innovation. https://tanenbaum.org/wp-content/uploads/2018/11/TanenbaumLogos_CMYK-Long-Red-Copy-300x39.png 0 0 igor solaja https://tanenbaum.org/wp-content/uploads/2018/11/TanenbaumLogos_CMYK-Long-Red-Copy-300x39.png igor solaja2014-05-23 11:45:542014-06-24 14:42:07Top five news stories you need to know.